As we naturally evolve, technology around us tends to evolve, too. As an advertiser, you probably notice it more than anyone, simply because you’ve probably had to make some changes with how you go about advertising. Advertising options these days are two-fold: independent advertising, which are the ads you have on your websites, outside of social platforms. 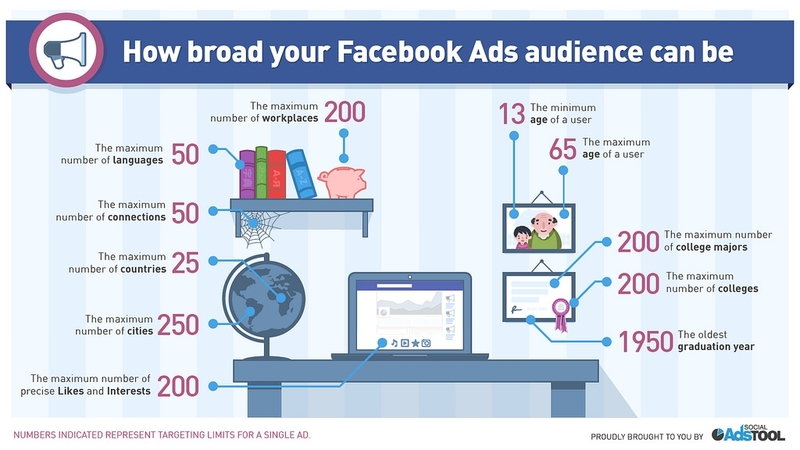 Social advertising is the second type of advertising, consisting of social media ads that are integrated into social networks such as Facebook, Twitter and Instagram. Online advertising is a natural choice for modern businesses, but after the decline of the banner ad, businesses began searching for alternatives. Paid search is a great online advertising medium for driving visitors to your website based on user intent (i.e. their search query). But what if there are no identifiable (or affordable) keywords you can bid on to drive traffic? And what about those businesses that want to create brand awareness rather than capturing user intent? Social media advertising helps businesses find new potential clients by using users’ own shared information to identify interest. Rather than reactively targeting users who search a certain term, social media advertising proactively targets relevant users before they even begin their search. 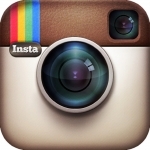 Instagram has accumulated over 400 million users since it first launched. It has over 75 million daily users, and generate a per-follower engagement rate of 4.21 percent, making it among the highest forms of engagement available online. Ironically enough, however, the length of an instagram caption doesn’t make significant difference. On an average day, users post 70m photos and hit the ‘like’ button around 2.5 billion times. Recently, Instagram expanded its advertising product range with carousel ads that present a highly visual and engaging advertising product. It began sponsoring posts in late 2013, in the US. They started with brands such as Michael Kors, Levi’s, and Ben & Jerry’s. Facebook has a total of 1.49 billion users, 4.5 billion likes generated on a daily basis as of May 2013, and 1.31 billion mobile active users. The average time spent on a Facebook page is 20 minutes, meaning that with the proper use of it, that’s 20 minutes of time that you could use to accumulate impressions. On Facebook business pages, there is an “insights” option, which allows you to see the analytics of engagement on your page. Additionally, many publishers have started to use their video ads, which allow you to tell a visual story by creating ads in the form of videos. Snapchat is a photo-exchange platform that has 100 million active users, and boasts a whopping 8,796 photos exchanged per second. Fox Studios recently sponsored a “Sponsored Lens”, meaning that users who choose to activate the Lens feature while shooting a picture or video of themselves, will be able to use Peanuts characters in their selfies. This is a great marketing tool for Fox Studios to feature the Peanuts new film, and you could surely take advantage of the great advertising opportunities on Snapchat. Twitter currently has a total of 320 million monthly active users worldwide. While it’s more popular in some areas than others, over 100 million of its users are active on a daily basis. 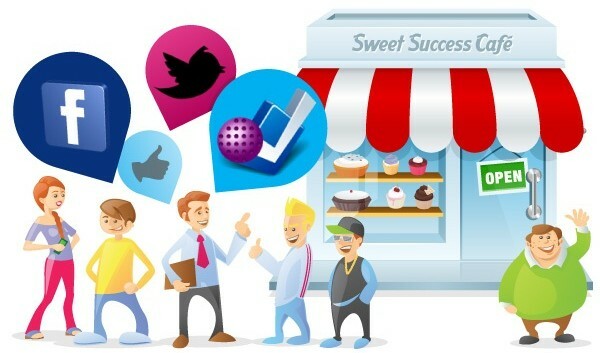 Twitter can be especially helpful in the realm of business in that you can connect to other publishers or advertisers easily just by tagging or mentioning them in a tweet. 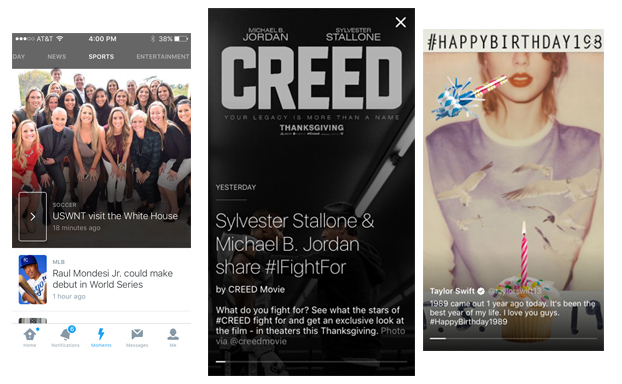 It recently came out with a new native ad format called Promoted Moments. Promoted Moments appears as regular moments appear on Twitter, but it features a brand, and will be available in the Moments guide for 24 hours. It will even feature a promoted badge, so this is also a great way to utilize native advertising via social media. Social media websites are generally free, unless you opt for purchasing an ad service. Even if you do decide to pay in order to promote your Tweets or Facebook updates, the cost is insignificant when you compare it to the sky-high fees companies pay advertising agencies to produce campaigns, both digitally and printed. Clicks on these platforms generally run around $1-$5 per click, plus you can target a very specific audience on Twitter, making it more efficient. A campaign on TV can cost $100,000 to produce, weeks of work to create, and even more time in order to place it on the right programs. Social media platforms such as Twitter, Facebook, LinkedIn, YouTube and other social networking sites are free to join, and can give you a lot of organic insight from your targeted audience. What happens on the Internet stays on the Internet, and cannot be reversed. If a prospective client trashes your email campaign, it can have a lasting impact. Customers are able to access online content years later, so anything you put into cyberspace can be pretty sticky, often stubbornly so (just look at the controversy surrounding the so-called “right to be forgotten”). Social campaigns are also powerful because they tell the whole story around a topic, rather than just a small aspect of it. References derive from, say, a blog posted packed with relevant links. Social media encourages storytelling, as well as information exchanges that don’t leave the web. Not only do stories develop and evolve, but the stories that social media in particular tells, can always be archived or found. In this sense, this makes social media a timeless phenomenon. It’s not very difficult to get a blog post or a video to go viral. Sharing via social media is much easier than advertising on TV. In fact, lately, TV ads only go viral if they’re first shown on social media. This form of marketing by word-of-mouth gives your company worldwide exposure, as well as a tremendous amount of reach within a relatively short period of time. Viral campaigns are capable of reaching more people in less time, and happen to cost much less than independent forms of advertising. Social media is a two-way communication street. This implies that social media gives you instant results and feedback, so you can see what the current situation is with your engagement in real time. Also, it gives you the chance to interact with prospective customers. Communication is the ultimate key in retention, so by using social media, you not only reach out to your clients, but also maintain a relationship with them. Your target audience could be thousands of people easily, rather than a focus group of 10 for independent advertising. Additionally, social media enables you to make contact with your audience, and you may continue growing relationships with them with the use of social media. 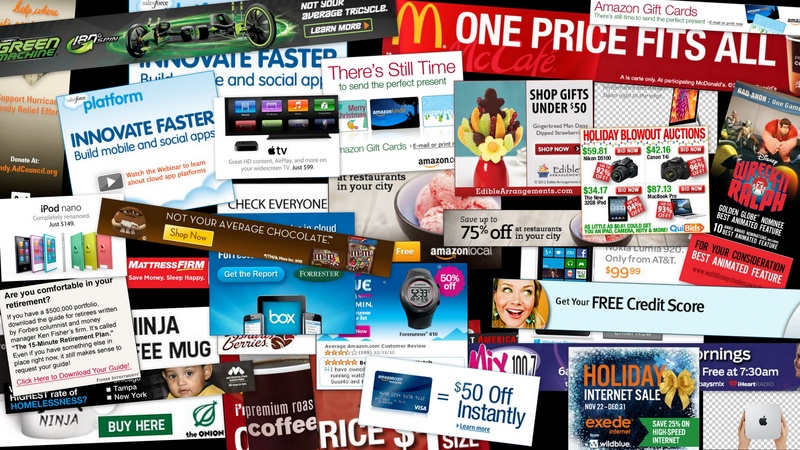 The public web extends far beyond social networks, so social advertising products don’t reach everywhere yet. Publishers who advertisers work with sometimes won’t have all their needs met by social advertising. Thankfully, there are a number of solutions in order to help independent advertisers stay relevant. 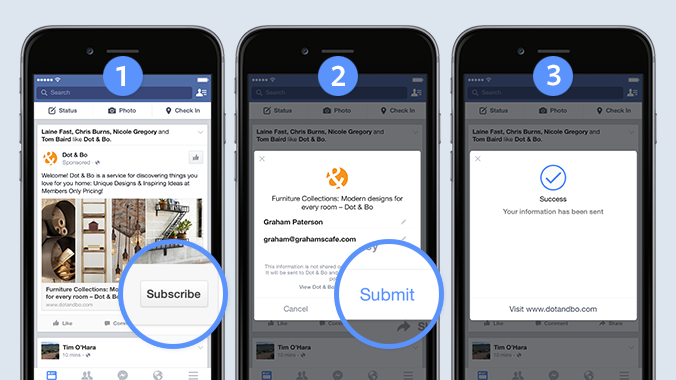 The most effective way for independent advertisers to stay relevant in the industry is to combine traditional ad techniques with social media. For example, for your next campaign, you could use an ad that was created by the advertising agency you normally use, but instead of posting it in public (i.e. on a billboard), you could post the ad on various social media platforms, like Facebook and Twitter, and keep track of the campaign’s success. As you may have surmised, one of the most effective techniques you can use in your campaigns while staying relevant is use contextual ads, so that the users feel as though the content is relevant to them. imonomy offers a service that utilizes unique technology that scans the text from web pages, and automatically matches content-relevant and visually engaging in-image campaigns. As an advertiser, this can help you bring in more potential clients, all while keeping users engaged and wanting more of whatever content you’re displaying. Despite the fact that times are changing, there are aspects of independent advertising that have very vital roles to play in the industry. With that said, newer concepts and tools, such as social media are constantly evolving in order to help make our lives a bit easier when advertising, or doing anything else for that matter. Therefore, it’s important to take into account a fusion of techniques in order to maximize your campaign’s and company’s potential. What are you doing to combine both independent advertising and social media?